First off, here are a few examples of some models I've painted in this way. 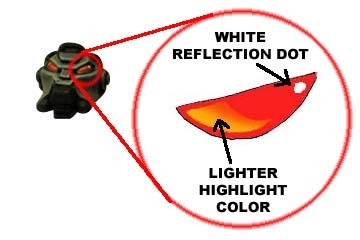 The first step is to carefully paint the areas of the light or window black. Any black colour will work. Pick which direction you want the light to be coming from and paint a small grey stripe in one corner. I think I used Vallejo Model Air German Grey for these. Any dark grey will work. If it is not dark enough then just mix in some black. Depending on the surface, I sometimes paint a rough triangle in the corner or just do the line along one edge. Next, either add some grey or white to your dark grey (or use a premixed colour) and add a thin line just above your first grey line, leaving a bit of the darker grey still showing. I wasn't quite happy with my shapes, so I cleaned it up by carefully painting some black over it. You can see the difference where the original black had been gloss varnished. Apply a small highlight with a lighter grey (again, just mix in some white or use a premixed grey; I may have used Citadel Codex Grey, I do it differently every time). Try to focus on just the corners and the top edge. With this last highlight, less paint looks better than too much. If it is not fine enough, go back with the black again and clean it up. Add a tiny spot of white in the corner opposite your grey areas. This represents a tiny spot of light and adds a lot to the final model. Again, if you do it too big just paint it black and try again. Now you can sit back and be the envy of your gaming group. 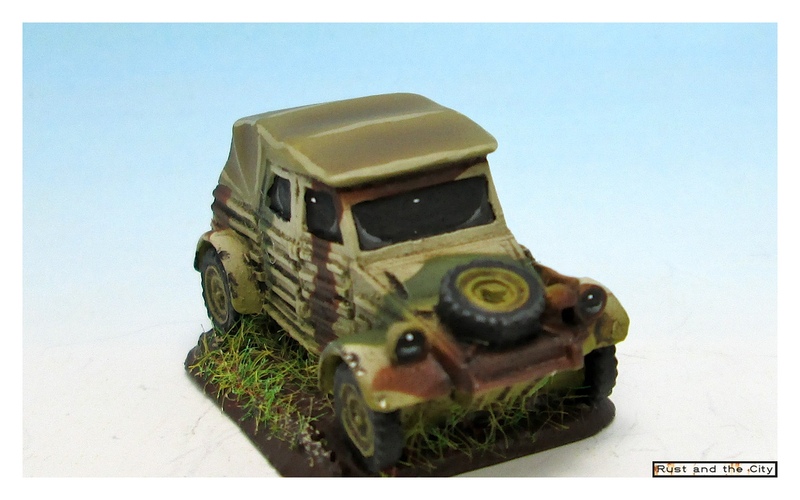 Painting the windows and lights on this Kubelwagen literally took me under 10 minutes and adds a lot to the model. I like the black as it looks good without being the focal point of the model. If you use a wet palette, this is even faster as you can premix some dark greys to use all the time. Lots of Flames of War models have little lights on the front. Many people leave them the base colour but a little bit of work can make them pop. To paint them I use exactly the same steps except I paint small crescent shapes at the bottom of the lights and place the point of light at the top. This is a similar method to how 40k players paint lenses. Here is a great picture from Ron at From the Warp (A great blog that is currently on hiatus) on painting lenses. 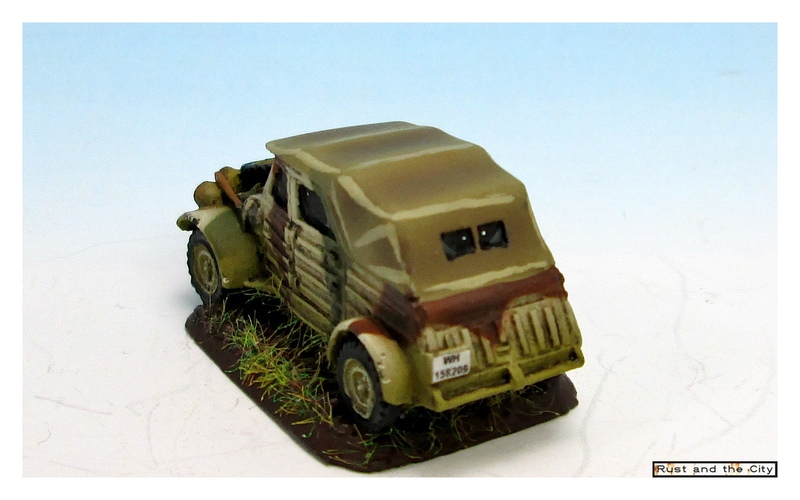 The technique used here is essentially the same, just with more muted colours for Flames of War. I hope this tutorial helps someone. If you have tried this on any models I would love to see how they turned out. Send me a picture of your models and I would love to add them to this post. Thanks for visiting!